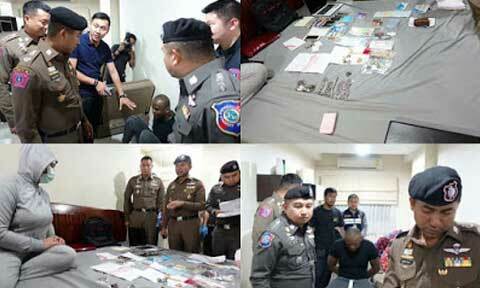 A 35-year-old Nigerian man known in his local community as "Starboy" has been arrested in Bangkok by the Thailand police for scamming lonely Thai men. According to reports, Starboy pretends to be a beautiful American female soldier on Facebook. The suspect and his Thai girlfriend, 20-year-old Sukanya Sakaew, were caught at their apartment as part of the government’s crackdown on foreign criminals. Police found six mobile phones and a few bank books at the apartment, which had a circulating fund of THB3 million (nearly US$92,000). Police investigators said Starboy was engaged in an ongoing conversations with 38 middle-aged Thai men. A follow-up investigations yesterday led to the the arrest of five other Nigerian members of Starboy's gang. The suspects have been charged with fraud.